The Shadowhunters world has always been a bit hit and miss for me. I read City of Bones and thought it okay, but I didn't continue with the series; however, I adored the Infernal Devices trilogy, which is far more sophisticated and has a dash of steampunk. 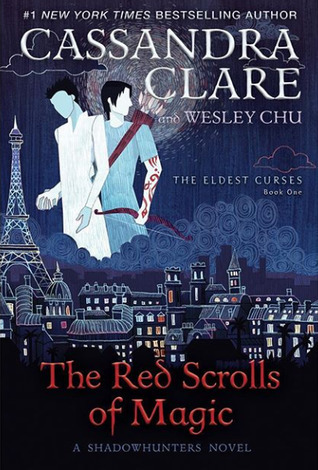 The only thing that kept me watching the Netflix Mortal Instruments series was Magnus Bane, which is why I entered the giveaway to win a copy of this book. I figured, with him front and centre, what could go wrong? And there were things I liked: the banter, the basic premise of the story and the idea of Magnus' parentage causing future problems, and the fact it was a quick, entertaining read. Nonetheless, I would have liked a little more depth at times, both from Magnus and Alec and especially from some of the side characters. The progression of the action was pretty predictable too. So, this was a middle-of-the-road read for me. I didn't dislike it, and I would read on in the series, but I don't see myself wanting to pick this up again and again for a reread. Once was enough. I am giving it three and a half stars. If you are a Shadowhunters fan, you'll enjoy it, I'm sure. If you are new to the world, my recommendation would be to head to Infernal Devices.